20lb Steel Wool Rolls. The 5 & 20 lb reels are 4-inch wide continuous ribbons of steel wool which allow for easy making of pads for a large variety of industrial, professional, and maintenance applications. Also, ideal for making your own floor pads. Steel Wool Grades Chart (Click Here) Available in 8 grades: from Extra Coarse (#4) for heavy-duty stripping to Super Fine (#0000) for polishing, including wax polishing. 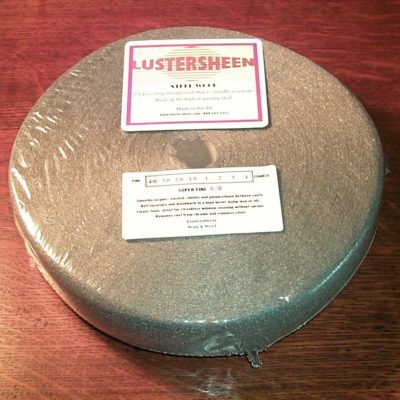 5 & 20 lb reels are 4-inch wide continuous ribbons of steel wool which allow for easy making of pads for a large variety of industrial, professional, and maintenance applications. Also, ideal for making your own floor pads. Available in 8 grades: from Extra Coarse (#4) for heavy-duty stripping to Super Fine (#0000) for polishing, including wax polishing. 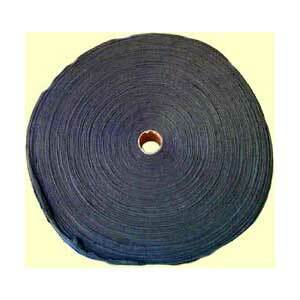 Gentle Abrasives – The wire shaving process produces fibers that have geometric cross sections. 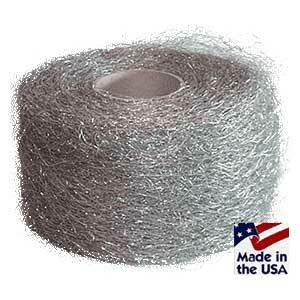 The result is that each metal wool fiber has several long, sharp cutting edges. Unlike sandpaper and other grit-based abrasives that scratch away material with sharp points, metal wool fibers perform like thousands of microscopic scrapers or planes on a surface. The result is a smoother surface after sanding and a better result after finishing Fine metal wool’s are even used to clean glass and polish fine wood articles. 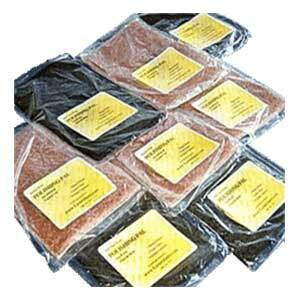 Grades of steel wool are similar to grit in sandpaper. The finest steel wool is grade 0000 or 4/0. The coarsest steel wool is grade #4. Refer to our extensive grade selection table to find the grade that suits your individual application. Please note: Coarse and Medium grade metallic wool can cause something similar to a paper cut when the wools are used with bare hands. For this reason, we carry Kevlar gloves® which are a economical way to protect your hands while using these products.